Last Updated on January 15, 2010. Choose the region you would like to visit and click on its name. Wildflowers of the Willamette Valley & Puget Trough: (Includes most lowlands and subalpine areas west of the Cascade crest) Not updated yet. Columbia River Gorge: (Includes many wildflowers found between Troutdale, OR and Biggs Junction, OR) - Currently updated with new photos 9/08. 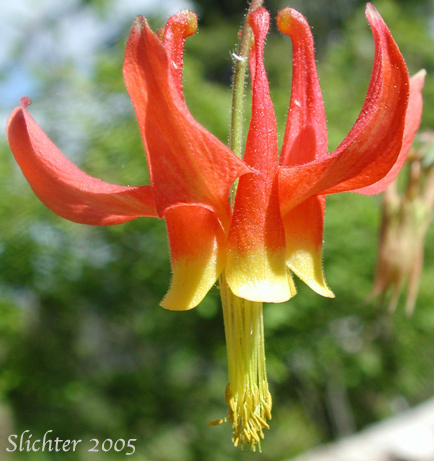 Wildflowers of the Columbia & Great Basins: (Includes many species from north-central Washington to the Oregon/California/Nevada border, and includes montane species from the eastern borders of this region.) Currently updated with new photos 12/08. Flora of Mt. Adams: (Includes species of animals and plants found at 1800' around Trout Lake, WA and Glenwood, WA up to 8200' on Mt. Adams.) - Currently updated with new photos 11/08. Flora of Denali National Park: (Includes species of animals and plants to be found along the 60 miles of Park Road from the Park Entrance to Kanteeshna.) - Currently updated with new photos 12/06.